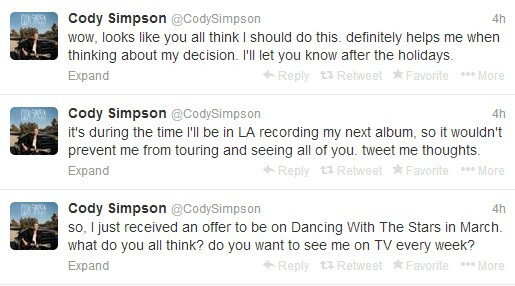 Pssst…Cody…when you do this much blabbing the offer tends to get recinded. Just sayin’. Doesn’t Dancing With The Stars Karina Smirnoff look gorgeous again? Yesterday, she attended the First Annual Winter of Hope A Breakthrough In Cancer Celebration at the U.S. Grant Hotel in San Diego, California. You can lots of ne photos of her at this even at Zimbio Pictures.